A traumatic brain injury (TBI) is caused by an unexpected force to the head, either by the head hitting an object, or an object splitting the skull and coming into contact with the brain. A TBI can also be caused when the head suddenly stops, causes the brain to strike the skull, without the skull ever striking any object. 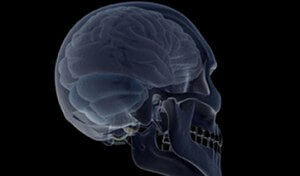 A traumatic brain injury (TBI) may require surgery to stop the bleeding and pressure that gathers near the brain. A patient with a traumatic brain injury may need numerous treatments by various specialists, including a speech pathologist, physical therapist, psychologist, and a variety of therapy services. Concussion Injury – A person suffering a concussion may be unable to concentrate or may be confused for a few seconds, or they may completely lose consciousness and fall to the ground. The brain is able to recover from a concussion, but it is unclear how much force is needed to cause permanent brain damage. Grade 1 – A mild concussion occurs when the person does not lose consciousness (pass out) but may seem dazed. Grade 2 – The slightly more severe form occurs when the person does not lose consciousness but has a period of confusion and does not recall the event. Grade 3 – The classic concussion, which is the most severe, occurs when a person loses consciousness for a brief period of time and has no memory of the event. A concussion can happen to anyone, at any time. The most common causes of concussion include a blow to the head from a motor vehicle crash, fall or assault. It is estimated that mild head injuries, such as concussions, are responsible for more than 600,000 visits to hospital per year in the United States. Diffuse Axonal Injury (DAI) – The nerve cells in the brain located in the gray matter communicate with distant nerve cells through long nerve fibers called axons, which make up the white matter. Any severe sudden twisting, as occurs as a result of a whiplash accident, can stretch, twist, and damage the delicate axonal fibers. Damage to these axonal fibers is called Diffuse Axonal Injury (DAI). DAI usually results from severe whiplash that causes a patient to become comatose. Due to the fact DAI is microscopic, it cannot be seen on CT or MRI scans. Direct Impact Injury – Any force that breaks through or fractures the skull may cause a severe brain injury, and is know as a direct impact injury. Direct impact does necessarily have to penetrate the skull. The force of the impact to the brain can cause the brain to hit the inside of the skull. Direct impact can happen when the skull strikes an object, such as the sidewalk. When a moving head comes to a quick stop, the brain continues in its movement, striking the interior of the skull. This can cause bruising of the brain and bleeding. Because brain cells are extremely sensitive to oxygen deprivation, they can begin to die within five minutes after the oxygen supply has been cut off. Hypoxia lasting longer than five minutes can cause coma, seizures, and even brain death. Indirect Impact Injury – An example of indirect impact is Shaken Baby Syndrome. Any severe or violent shaking greatly stretches and damages the delicate nerve cells in the brain. In a car accident, severe whiplash can cause an indirect impact. Coma is when an individual is incapable of conscious behavior. Coma means a malfunction of the brain’s thinking and life support centers. There are two principle types of coma associated with head and spinal trauma. Edema is swelling of the brain, which can occur as the result of a head injury or cardiac arrest. Symptoms of cerebral edema include headaches, decreased level of consciousness, hallucinations, psychotic behavior, memory loss, and coma. Edema can lead to death if left untreated. Brain edema causing increased pressure inside the head. This pressure can squeeze the soft brain tissue against the skull, ultimately causing damage to brain cells. Hematoma is a collection of blood due to a tissue injury or the tearing of a blood vessel. The dura is a tough membrane that covers the entire brain and spinal cord. A blood clot that develops outside the dura, between the skull and dura, is known as an epidural hematoma. A blood clot that develops between the dura and the brain is called a subdural hematoma. If a loved one has suffered a traumatic brain injury or if you have a traumatic brain injury question and you’re not sure what to do, call Cellino & Barnes now at (800) 888-8888 or contact us online.